Decades after his passing, legendary Jamaican singer-songwriter Bob Marley stands as a musical and cultural icon for his musical blend of reggae, ska, and rocksteady. Audio maker House of Marley was founded on the reggae legend’s vision of universal love, music, and respect for our planet. 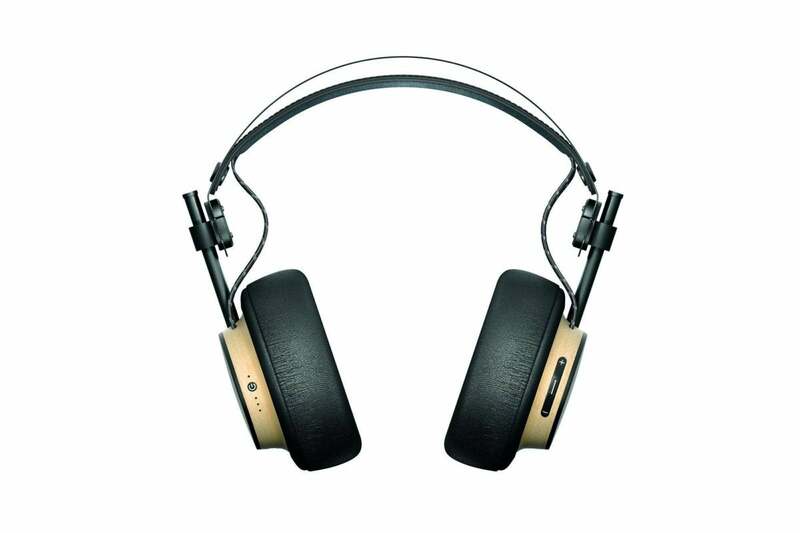 And you’ll find those values ingrained in the company’s new flagship headphones, dubbed Exodus. What separates House of Marley from much of the rest of the audio world is that the each of company’s products is crafted from mindfully sourced materials—sometimes recycled and always recyclable and sustainably produced. Sustainability and responsibility run deep in the Marley family. Bob Marley’s son Rohan Marley, who serves as House of Marley’s brand ambassador, purchased 52 acres of land on Jamaica’s Blue Mountains in 1999. He began growing organic coffee under the Marley Coffee brand using Fair Trade practices in 2007. The House of Marley Exodus comes with a 3.5mm nylon braided cable, nylon braided USB cable, and a carrying pouch. Exodus derives its name from Bob Marley’s 1977 album of the same name. These cans are crafted from sustainable FSC (Forest Stewardship Council) certified wood, stainless steel, recyclable aluminum, and natural leather. 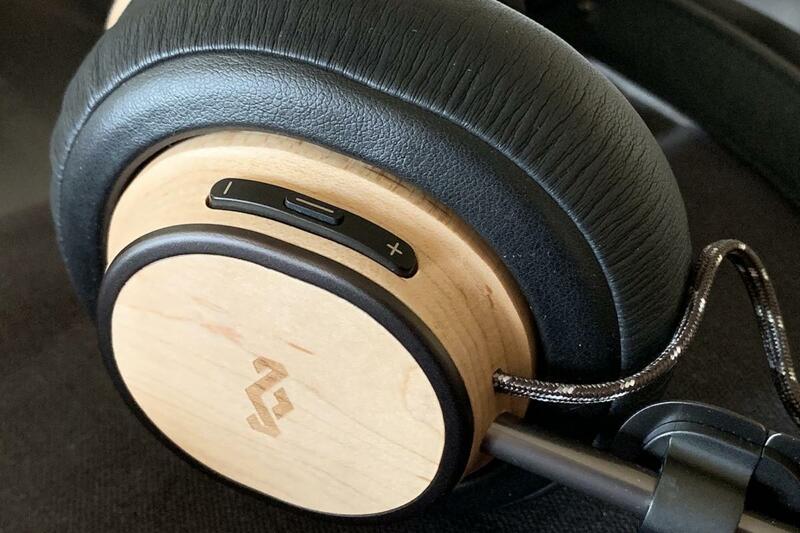 The Exodus’ beautiful ear cups are made from FSC-certified wood. 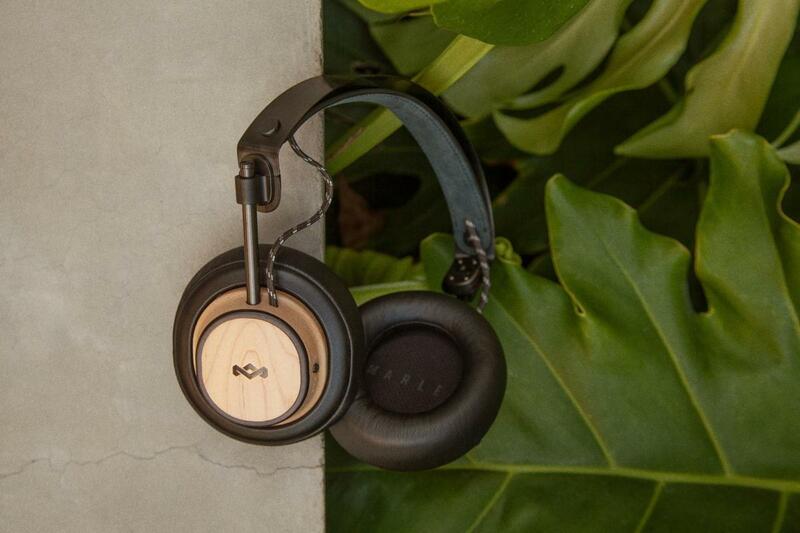 For House of Marley, sustainability, top-notch craftsmanship, and meticulous attention to detail go hand-in-hand. On the Exodus, materials, build quality, fit, and finish are all first class. I couldn’t find a single piece of plastic anywhere in the headphone’s structural parts. The headband and arms are made of stainless steel and aluminum. 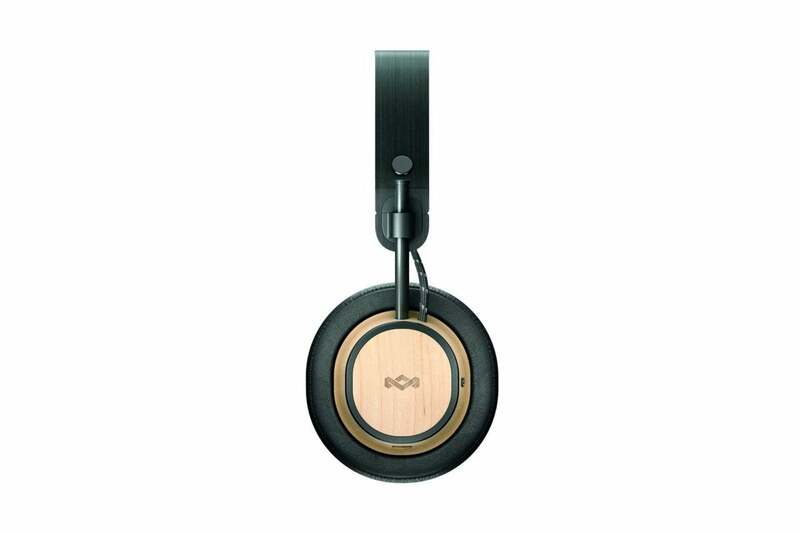 The ear cups are crafted out of wood with beautiful wood grain details throughout. You’re assured to have a unique, one-of-a-kind pair. The headphone’s all-metal, height-adjustable arms slide smoothly and effortlessly, locking into whatever position you set them to. I always felt as though I was working with precision machined parts. The materials, industrial design, and machined metal parts are all first class. 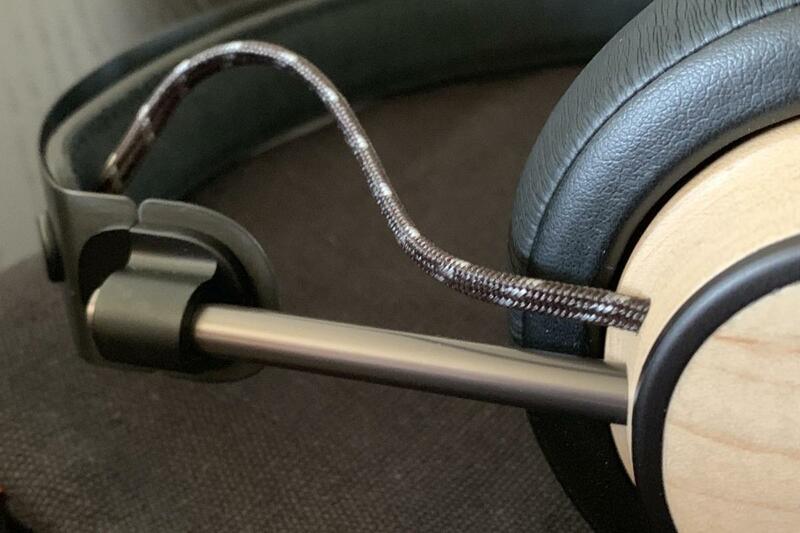 All cabling—the 3.5mm audio cable, USB cable, and cabling connecting the ear cups— is covered in a high-quality, snag-resistant braid. Even with their wood and metal parts, the Exodus are light and very comfortable to wear. Under the metal headband, there’s a self-tensioning soft strip of leather. I never felt any undue pressure on my head during listening sessions. The metal headband sports a self-tensioning leather band that fits comfortably on your head. The ear cups are large and generous, housing 50mm drivers. The ear pads are made of comfortable memory foam and wrapped in soft and supple leather that was incredibly comfortable on my ears—though they did cause my ears to sweat a bit during long walks. There are two observations to note: First, they didn’t drown out as much ambient noise as one would expect. Second, the ear cups have a tendency to apply more pressure on top than at the bottom if you don’t adjust them properly. You can solve that sensation by expanding the headband. The Exodus’ ergonomics are excellent—though you’d do well to refer to the included user manual to confirm some of the Exodus’ button combinations that perform dual functions. The Exodus comes with a very well done quick-start guide that is filled with excellent diagrams for the expert or novice wireless headphone user. The key takeaway you need to know about the Exodus is that button functions are time sensitive. For example: Pressing the power button for six seconds puts the headphone into Bluetooth pairing mode. Pressing both the volume up and down button for more than two seconds clears all paired Bluetooth devices. Pressing the volume-up button for more than two seconds advances to the next song, while pressing the volume-down button for more than two seconds rewinds the current track. There’s no multi-click function, as you’ll find on other headphones. The volume dial on the right ear cup performs multiple functions. The Exodus design team also did a superb job making buttons easy to find by touch; the buttons conformed to the natural contour of my thumb whenever I lifted my hands to the ear cups. The buttons protrude slightly, with different tactile clues so you can have confidence you’re pressing the correct button for the function you wish to perform. The Exodus fold into a compact form factor. Sustainability doesn’t mean shortchanging yourself on convenience and features. 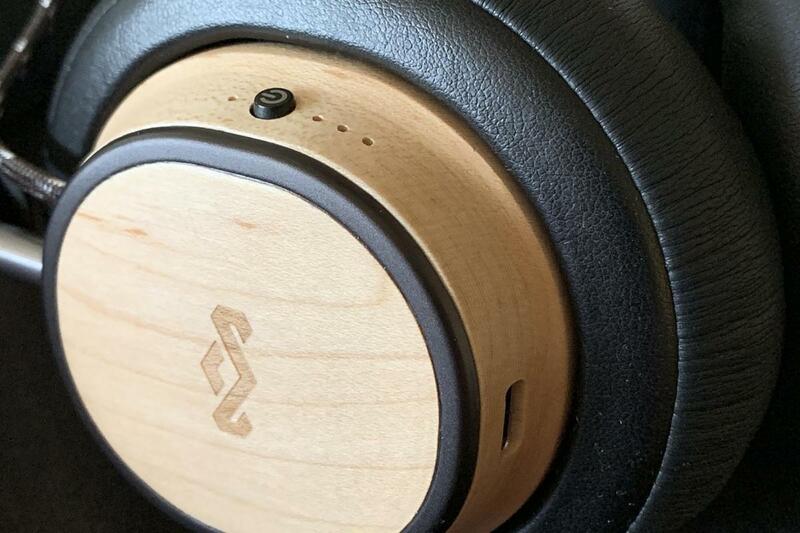 These headphones have a generous, 30-hour battery life. When you need to recharge, you’ll be able to do so at lightning speed with quick-charge technology. It takes just two hours for a full charge; plug them in for five minutes and you’ll have more than one hour’s worth of music. Upping the modern ante, charging takes place via a USB-C charging port on the bottom of the left ear cup. During my test period, I noticed that I could charge the Exodus only with the included USB-A to USB-C cable. A USB-C to USB-C cable wouldn’t work. 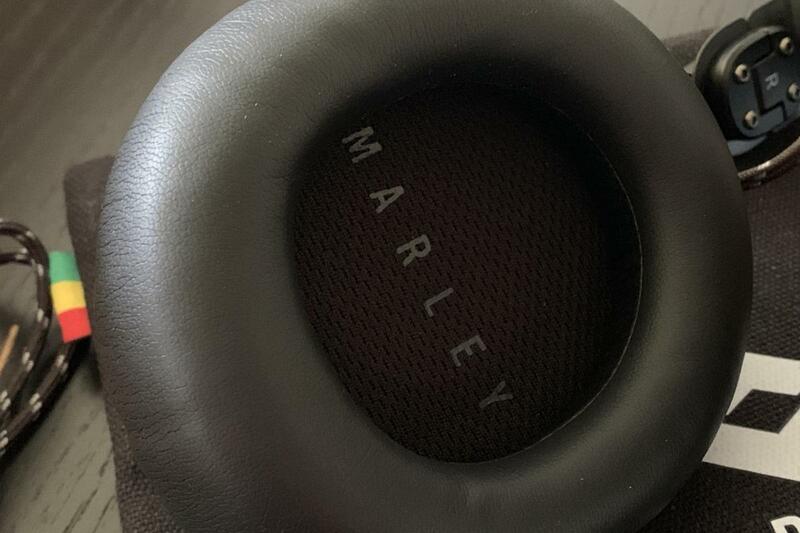 I reached out to House of Marley about this and a representative told me that I had received one of the first pairs produced for early review, and that the included cable was a temporary work-around for some hardware changes they are making. Exodus units coming off the main production runs will be compatible with third-party USB-C cables. The power button is flanked by battery status lights and a USB-C charging port on the bottom. 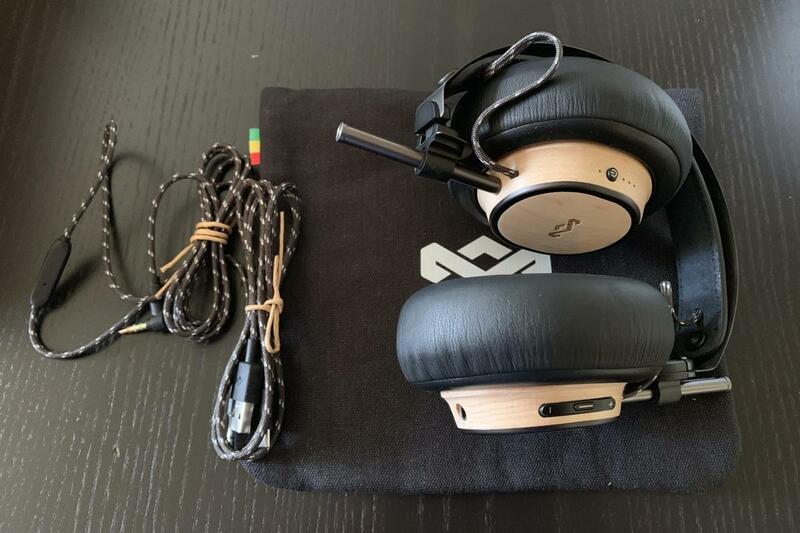 I tested the House of Marley Exodus in wireless and wired mode on an iPhone XS and Astell&Kern S15 high-res digital audio player (review forthcoming). Sources included Tidal, high-res downloaded tracks, and tracks ripped from CD. The Exodus’ wireless performance is pretty good, but they perform best when played in wired mode. When played via Bluetooth, you’ll notice somewhat boomy bass, a muddier midrange, and a lack of sparkle at the top end. This fact is fairly common with Bluetooth headphones when you compare their wired and wireless modes, so I don’t want anyone to come away with the wrong impression. Plugging the Exodus into the Astell&Kern S15 revealed a verydifferent sonic experience: The Exodus delivered a vivacious top end; significantly cleaner midrange; and tighter, crisper, and more refined bass response. You’ll do well to use wireless for convenience and wired for critical listening. View of the Exodus’ wooden ear cups and leather-covered memory foam ear pads. The Exodus had that intangible character that can draw you into the music. Listening to John Legend’s “All of Me,” Christina Perri’s “A Thousand Years,” the Revivalists’ “Wish I Knew You,” and Lauren Daigle’s “You Say” was intoxicating. Speaking of “Bad Liar,” I enjoyed how the Exodus handled the song’s dynamics and the gravitas of the song’s synthesizer notes. All in all, the Exodus were as enjoyable to listen to as they were to admire. The Exodus have memory foam ear pads wrapped in soft leather. The more I spent time with the Exodus, the more I fell in love with these headphones. 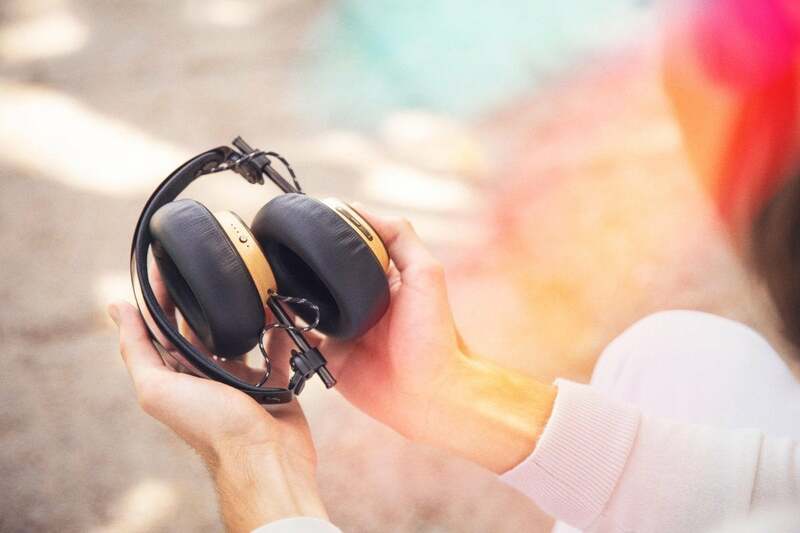 The House of Marley delivers on the company’s mission with great-looking, responsibly sourced headphones. And perhaps that’s one of the Exodus’ most important contributions: You can be serious about your music while also feeling good about your environmental stewardship.